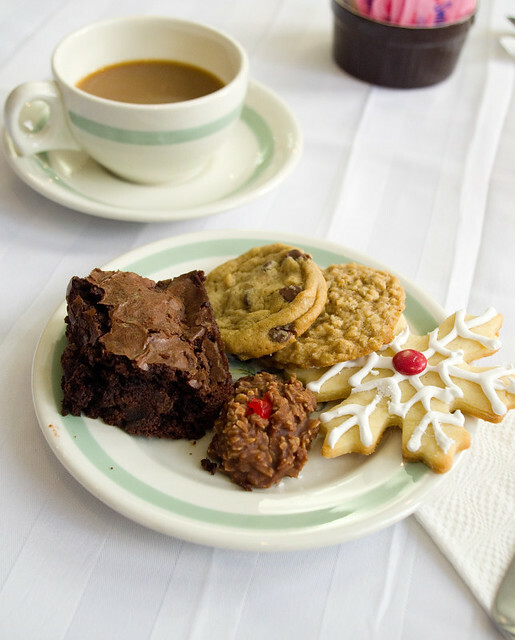 This past Saturday was the annual Girl Guides’ Holiday Tea, which was held at Epiphany Anglican Church just like last year. This year the funds from the tickets, bake sale, and calendar sales were being raised to finance a trip to Europe for the local Pathfinder troupes. 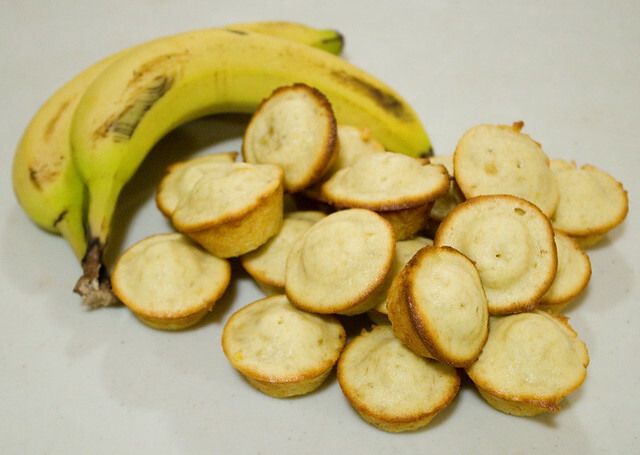 Parents of girls in the Guiding movement were asked to contribute baked goods to the tea, so this year I used up some of the bananas in my freezer and made mini banana muffins. I used the recipe that I almost always use, the one for Banana Bread Cockaigne on page 628 of the Joy of Cooking (75th Anniversary Edition, Rombauer & Becker, 2006). Of course, I omitted the chopped nuts and/or dried apricots (which usually have come into contact with peanuts or tree nuts), since anything baked had to be school-safe. I also omitted the grated lemon zest, as I usually do, since I don’t often have lemons in the house unless I’ve bought them for a specific purpose. As usual, the tea was lots of fun, with the tiniest of Sparks and Brownies bringing out cold drinks and trays of treats, while the Guides were in charge of serving hot drinks, and the Pathfinders and Rangers ran things from the kitchen. Of course, I never got any of the fancy-looking shortbread or thick brownies because the children snatched them up right quick. And I didn’t see any of my tiny muffins come by, so I guess they went out earlier in the day, since my container came back empty. I was rather impressed with the surprise flavours of lemon in some of the shortbread, and maple syrup in the Rice Krispie squares. I think I’ll have to try those additions myself in the future.